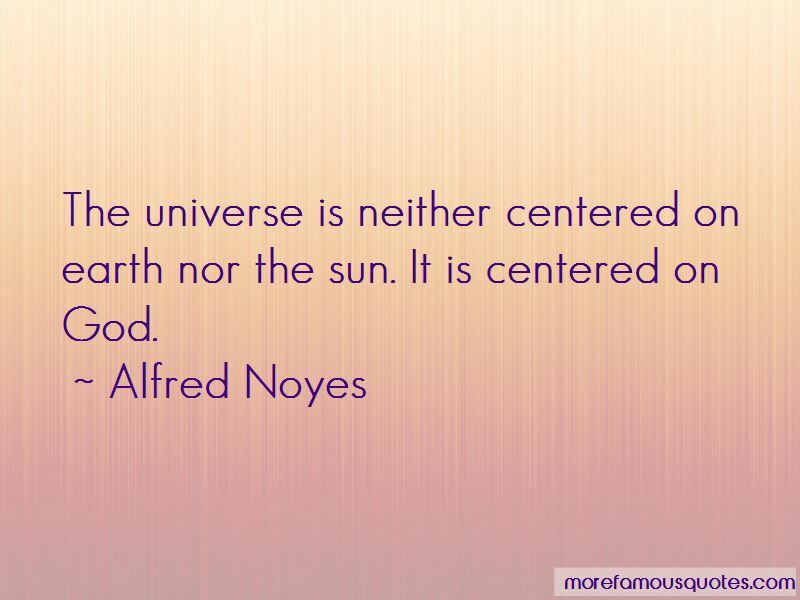 Enjoy the top 24 famous quotes, sayings and quotations by Alfred Noyes. though hell should bar the way. Oh, grown-ups cannot understand, And grown-ups never will, How short the way to fairyland Across the purple hill. 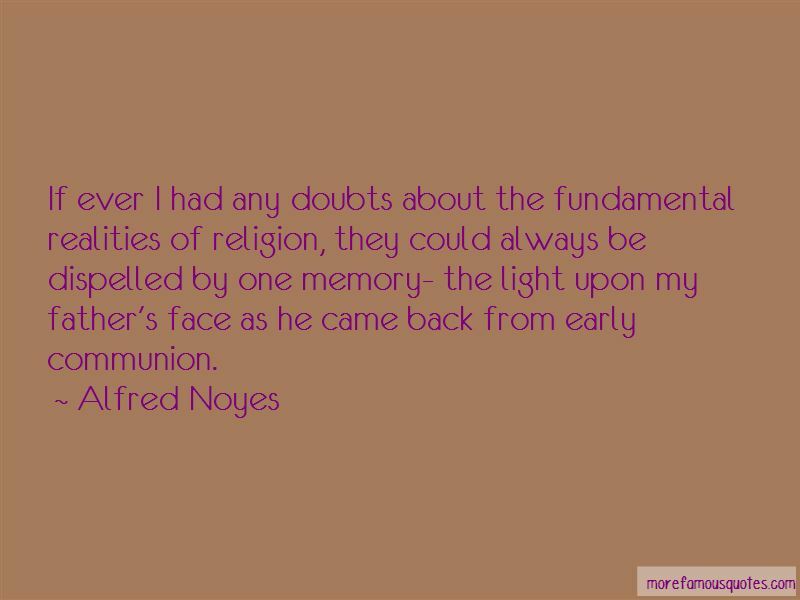 If ever I had any doubts about the fundamental realities of religion, they could always be dispelled by one memory- the light upon my father's face as he came back from early communion. Outlawed, but not alone, for Love Is outlawed, too. You cannot banish us, proud world: We banish you. 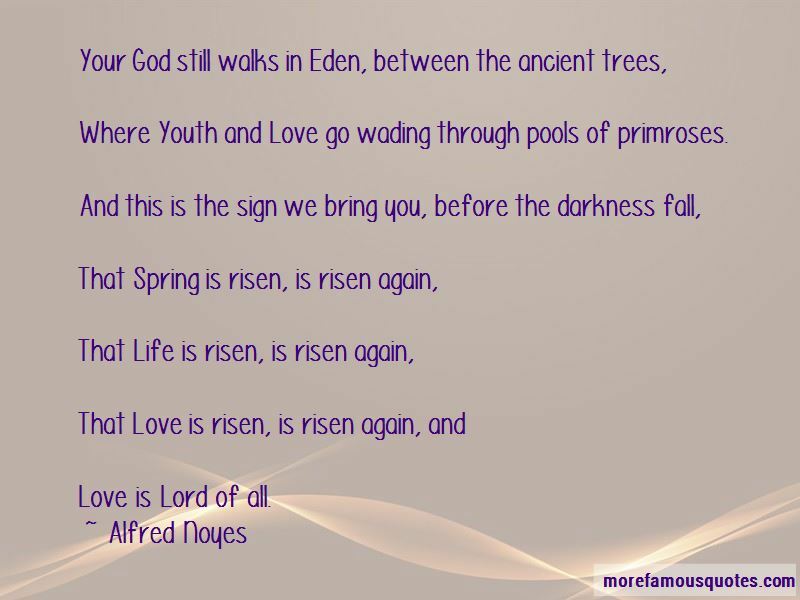 Want to see more pictures of Alfred Noyes quotes? 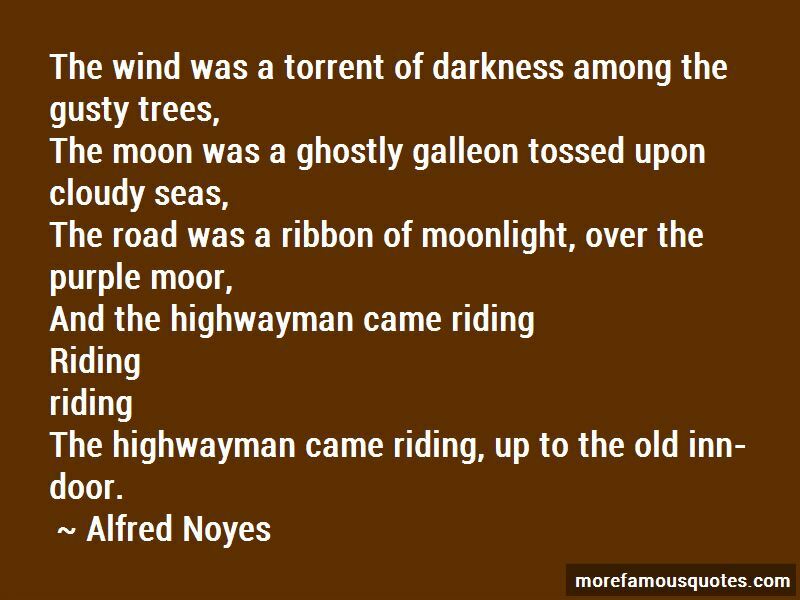 Click on image of Alfred Noyes quotes to view full size.